It's the first year I take part in NaNoWriMo. I don't really write a novel, though - at least that isn't the plan, as prose really ain't my strength (even less so in English). I don't mind that either, novels aren't the thing I want to do. 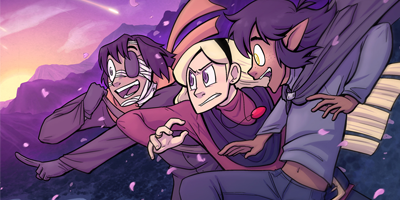 I want to make comics :) So my NaNo project is the first draft of a script for a future comic. Castoff - Vector always dreamed of traveling. He got kidnapped instead. 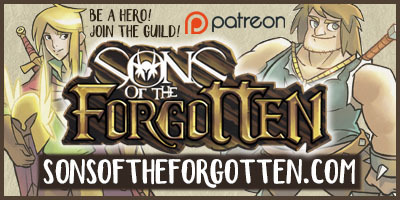 Sons of the Forgotten - Erric leaves his calm village to follow his dreams of becoming a hero.